GPS address is 225 Violyn Drive, Branson, MIssouri 65616. Between Gretna Road and Shephered of the Hills Expressway. Located behind The Mansion Theatre. 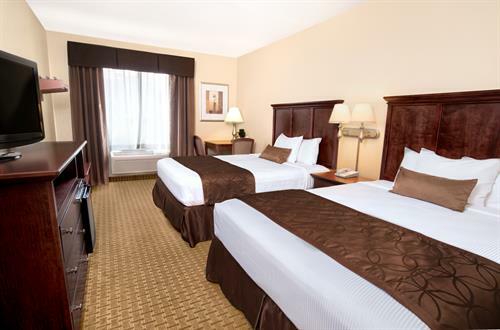 The Barrington Hotel & Suites is located just off the Shepherd of the Hills Expressway, Branson, Missouri. 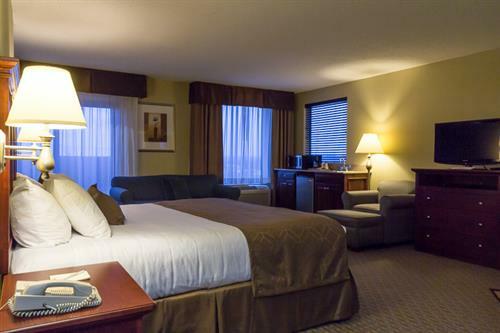 Located near Sight & Sound Theatre, The Mansion Theatre and The Shoppes at Branson Meadows, we are minutes from the world famous ‘strip’ in the Branson entertainment district and Branson Landing, yet nestled in quite comfort within the serenity of the Ozark Hills. The Barrington Hotel is a tribute to both style and beauty. 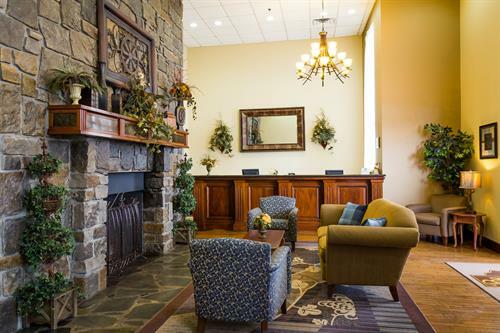 Our majestic stone fireplace and hardwood floors grace our beautiful entryway which leads to 145 spacious luxury rooms. 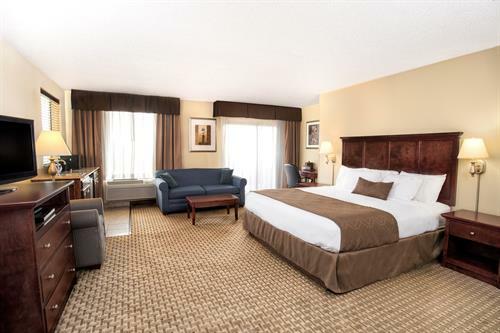 Double Queen guestrooms and our spacious King Jacuzzi, Honeymoon and Presidential Suites create a cozy atmosphere for relaxation with a marble in room Jacuzzi tub and comfortable sitting area. All rooms are non-smoking and connected to indoor corridors and elevators. Enjoy our complimentary hot deluxe breakfast with biscuits and gravy, scrambled eggs, sausage, waffles, assorted fruit, bagels, toast and much more. Our friendly and courteous breakfast attendants will welcome you with good morning cheer! Come and stay at The Barrington Hotel & Suites, Branson, Missouri where we offer our guests the friendly customer service you expect. 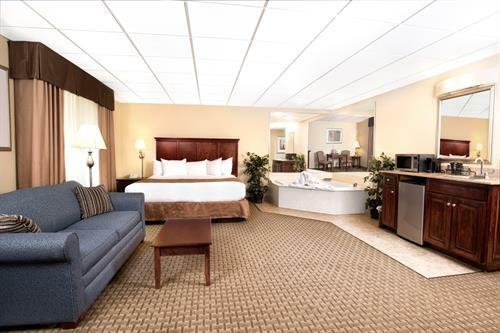 Visit the Barrington Hotel & Suites, Branson, Missouri and experience a step above the rest…..